Currently soliciting funding is the 13th Kickstarter campaign from Robin Snyder and Steve Ditko. 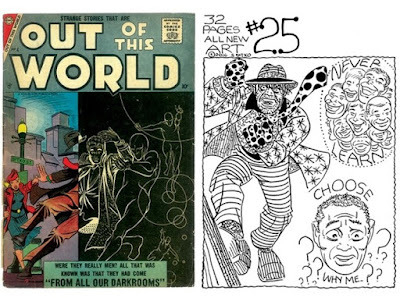 This time another issue of OUT OF THIS WORLD (presumably "#20", as the numbering of these things tends to go) and #25, the appropriately named twenty-fifth issue of this series of 32-page publications they've done since 2008. 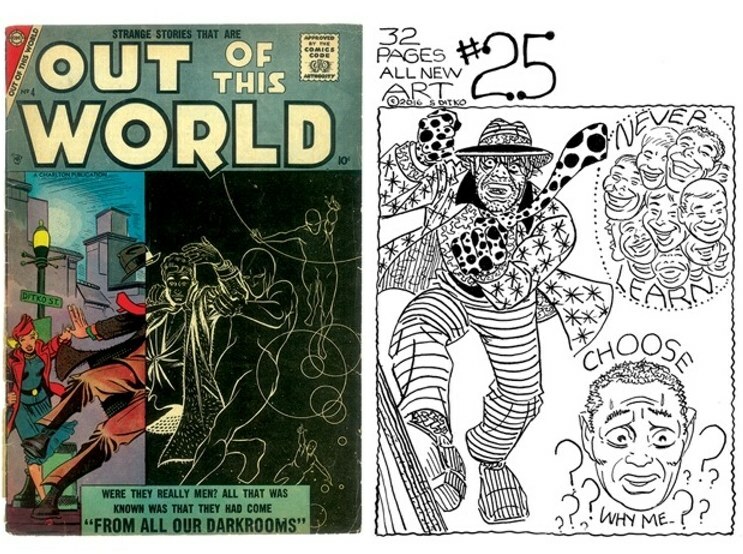 OUT OF THIS WORLD #20 features the spectacular cover from Charlton's OUT OF THIS WORLD #4 , so there's a good chance that it'll have the 8-page story "From All Our Darkrooms..." from that issue as well. A favourite of mine, with some clever visuals. No doubt some other quality reprints and maybe some never before seen stuff as well, as these books tend to have. And no doubt a lot more.